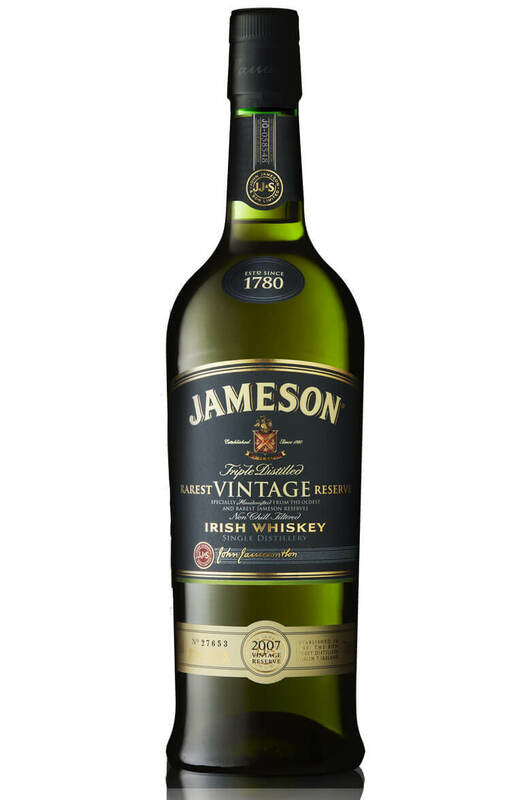 The Jameson Vintage Reserve is a very special blend that draws its components from some of the oldest whiskeys available in the warehouses at Midleton. At its core is a generous amount of old pot still with some very old grain, but what sets it apart is probably the portion matured in a sweet, raisiny port pipe. This is a highly complex, fruity, spicy and sweet tasting blend and must rank as one of the best Irish whiskeys currently available. A rare treat. Nose A really full bodied aroma. Initially sweet with ripe fruit notes of melon, bananas and dark fleshy plums. The unmistakable pot still spicy character combines to give hints of treacle, cinnamon and liquorice. Palate Thick and oily, immediately surprising with the weight and depth it delivers. Lots of pot still character. Complex and oaky with some deliciously gingery fruit, spicy pepper, toasty oak and thick honey. All the way there is a sweet and fruity character reminiscent of boiled sweets and rock candy. Great length and complexity. Colour Bright gold with some ruby/copper tinges.